Why should you be the one to suffer if an injury is not your fault? Our friendly and helpful personal injury claims team will talk you through the whole process and advise you all the way. We can’t turn back time but we can help ensure a better future for you and your family. We understand that questionnaires and form filling can be repetitive and time consuming and therefore we offer face to face contact to take you through the paperwork and to complete this with you. We aim to make the claim process as swift and painless as possible for you. Accidents out and about are all too common but unless you know your rights, you may not realise that you can make a personal injury claim and receive compensation to cover your losses and help you recover. Whether you have sustained an injury on a bus, have slipped or tripped in a public place, been hit by a falling object or suffered food poisoning for example you may be able to make a compensation claim. In any public place, such as a shop, railway/bus station or supermarket, the occupier is responsible for your safety whilst on their premises. Similarly, your local council must ensure that roads and pavements are maintained and in a reasonable condition. If you have slipped over in a public place and injured yourself, you may be able to make a slipped up injury claim. The owner of any premises such as a supermarket or store has a duty of care to ensure your safety and that slips are prevented. If you have slipped because there was a spillage that was not correctly signed or cleaned up properly, you may be able to make an injury claim. If you have tripped or fallen in the street and injured yourself, you may have a valid claim against the highway authority whose duty it is to maintain footpaths and roads. Because each case will be different, you need expert advice if you have sustained a slip, trip and fall and Clarke Willmott will help you make a claim if it was not your fault. There are so many bones in the hand that it is all too easy to injure or break your hand or wrist if you have a slip, trip or fall while you are out and about. An injured hand or wrist can cause problems in going about your everyday activities and you may not be able to carry out your work. If you have sustained a hand injury and it wasn’t your fault, Clarke Willmott can advise you on making a hand injury claim. If you injure your knee after a trip, slip or fall in the street, it can be very painful and lead to problems later in life. Sometimes there can be bone damage if the knee sustains a large impact but usually soft tissues such as ligaments will be affected if the knee is twisted in a strange way. You can make a knee injury claim if you have injured your knee following an accident and it wasn’t your fault. We all spend so much time in our cars, it’s no wonder that the most common personal injury claims are the result of a car crash. We understand that whatever the circumstances of your accident, the last thing you want is to then embark on the daunting process of making an injury claim. But if the car crash wasn’t your fault, why shouldn’t you make a claim for compensation to make your recovery that little bit easier or to ensure your financial losses are recovered? Whether your car crash occurred whilst you were a driver, passenger or pedestrian, our aim is to guide you through this process and provide you with the best legal advice and care possible – all on a ‘no win, no fee’ basis. We can arrange for your vehicle to be inspected, should this not be covered under your own insurance, as well as being able to organise physiotherapy treatment on a private basis. Children are involved in thousands of serious injuries every year – from road traffic accidents to head injuries and playground falls. Where children are concerned, many emotions come into play and it can be difficult dealing with the trauma of making a personal injury compensation claim. We’re here to help. Our friendly and approachable team of injury lawyers will advise you every step of the way and guide you through the claims process and if you are entitled to make a child injury claim, they will ensure this is resolved as swiftly as possible so you can start planning for the future. All employers have a duty to protect you from accidents or injuries at work and to ensure a safe working environment for their staff. This might include providing the right equipment, safety clothing and training for employees to carry out their work. Many people sustain back injuries or damage to their head, hands or eyes in the course of their work and quite often these could have been easily avoided. If you have suffered an injury at work in the last three years (even if you are not currently working for the same company) you may be able to claim compensation for your injuries and associated losses. Our team of specialist injury compensation lawyers can investigate whether your employer has been negligent or in breach of their duty and guide you step by step through the claims process. It won’t turn back the clock but a successful claim for an injury sustained at work could make a big difference to your future. No matter how careful you are as a bike or motorbike rider, you are extremely vulnerable on the road – especially as traffic gets busier and busier. If you have had an accident whilst on two wheels and it wasn’t entirely your fault, we can help you. There are many situations where you may be entitled to claim compensation – perhaps because of poor quality road surfaces, diesel/oil spills or bike manufacture/garage error. The main cause of bike accidents is other driver error. In particular, filtering/overtaking incidents, vehicles pulling out of side roads, turning across your path, rear end collisions and general lack of awareness. We lead the way on cases on filtering. 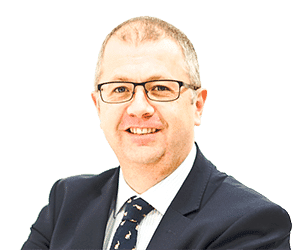 Stephen Trump of our Serious Injury Team has Court of Appeal success in this area legitimising filtering. We will fight your corner in this tricky area. In these and many more situations, we can help you make a claim on a no win, no fee basis. Find out more about making a motorcycle accident claim. We regularly act for injured victims of accidents involving horses and those who end up defending claims. A girl whose horse fell after its leg became trapped in a broken drain. Cases involving horses, and indeed other animals, require particular close attention. Detailed investigation is needed with a careful application of the statutory provisions to determine whether a claim is likely to be successful. Claims for accidents involving horses and other animals is an area of specialism at Clarke Willmott. You can read more about some of our successful cases about accidents involving animals here. 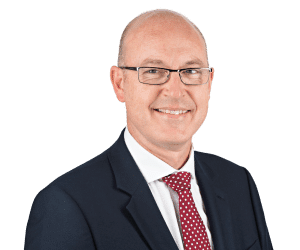 Should you require any assistance with any claim involving a horse or any other animal, please contact Lee Hart, a Partner in our Serious Injury Team. To talk to us about your injury claim call us now on 0800 316 8892 or contact us online.